We are happy to announce that our GHBA members have access to a discount from Brooks Brothers! Email us if you are interested in enrolling! At the Emory University School of Law, in collaboration with the Emory Latin American Law Students Association. RSVP below for your tickets! 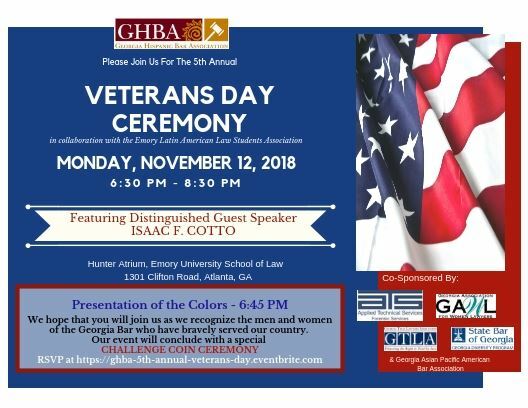 The ceremony will begin with the Presentation of the Colors at 6:45 pm, and will conclude with a special Challenge Coin ceremony honoring all veteran attendees by name. Heavy hors d'ouvres and beer and wine will be provided for your enjoyment. This event is free, but space is limited. PLEASE RSVP NO LATER THAN NOVEMBER 3rd. Please RSVP here. We are looking forward to serving you in the year to come! GHBA has members in virtually every practice area and covering all corners of Georgia. Click below to find an attorney near you! GHBA lawyers will help you with your legal issues. Stay up-to-date with the latest Continuing Legal Education, social events and more from GHBA. We update the Events Calendar routinely, so be sure to check back often! Don't forget to renew your membership! Take advantage of all of GHBA's benefits: networking, community, education, business development & more! Not a Member? Register to become a member! 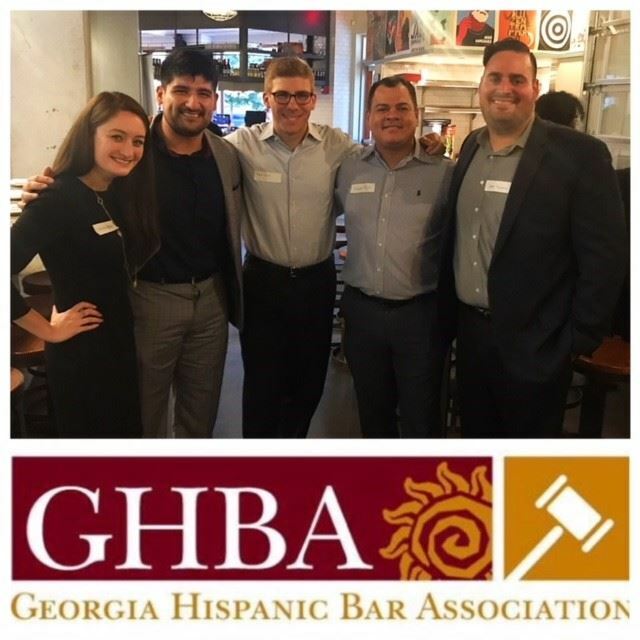 Sign up to receive the latest updates on the Georgia Hispanic Bar Association. We send out a monthly newsletter that includes all our latest events and deadlines. Subscribe to our newsletter today.